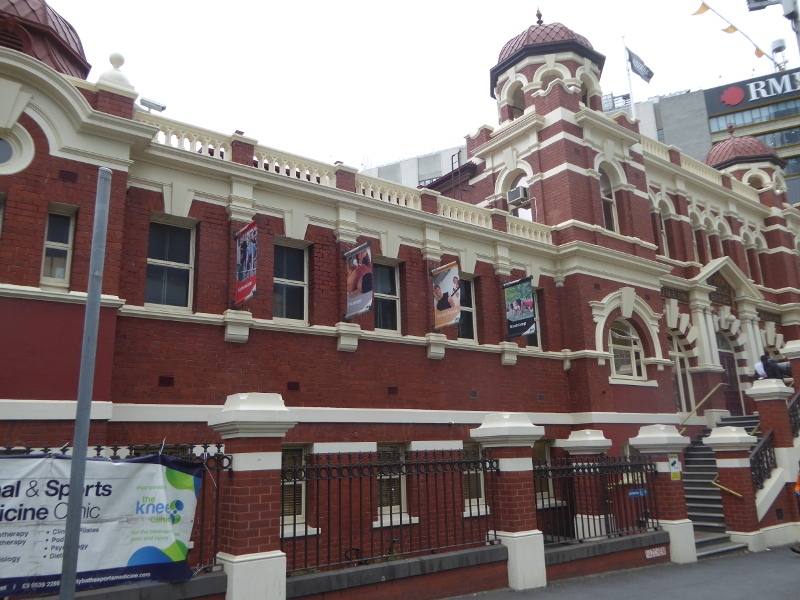 Fabulous 1904 building in the centre of Melbourne housing a stunning indoor swimming pool with lots of original features, including one of the ‘slipper baths’ needed to keep Melbourne residents clean! I haven’t swum in many indoor pools in Australia since I arrived in the country four years ago. After all, you can’t beat fresh air on your back and birds flying overhead while you do laps in an Olympic size pool. But City Baths in Melbourne were worth breaking that habit. 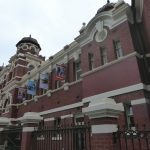 City Baths make for a classic Vintage Victoria entry, too. 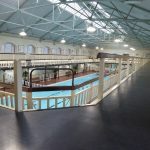 Set in a superb 1904 building, still used for the purpose they were built, and keeping lots of original features inside, even while becoming these days also a 21st century gym and fitness centre as well as swimming centre. I also loved the fact that they really own their past, with a fascinating display of photos, articles and correspondence linked to the baths since their design and opening all those years ago. There are still two pools here, though only one is open to the public for basic laps and leisure. The main pool is a good 30m long, probably a little more, but measurements when this pool was built were in feet, of course, as the depth-mark tiles indicate, with the figures 7 feet 6 at the deep end, and 3 feet in the shallow (later amended to 3’6”, which is probably today’s depth. There is the usual Australian organisation of lanes for slow, medium and fast swimmers, plus a ‘leisure lane’. But here at the City Baths, you need to get your stopwatch out because they also give you a rough estimate of how long a length in each lane should take, so I opted for the 33-39 seconds Medium Lane, and actually had it to myself in my early morning dip one Monday morning in December. The smaller pool, which must have been the old ladies’ pool once upon a time, is still used but not for public swims. It has changing cabins all around its edge, which reminds me of pools in Yorkshire in my childhood and my many early morning pre-work swims at Acton Baths when I moved to London in the 1980s. Upstairs on the balcony looking over the main pool the first thing that caught my eye was the bath tub. 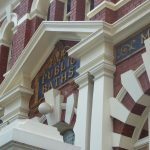 Deep and long, sitting on wrought iron feet, this is a real beauty, and it’s amazing that in the early days of these ‘baths’, their main purpose was probably exactly that: as the main place for the people of Melbourne to come for a bath and wash. There used to be 100+ of these baths in here – I wonder what happened to the rest of the tubs? The viewing benches also felt pretty old and may well date from the early years of this building. And then there’s a really good historical display all around that balcony; some of the articles displayed I recognised from my Trove search, but they also had some gems which Trove couldn’t have had on their media database, like the correspondence from the manager of a world champion swimmer (from England, and not dated), who was complaining at the lack of clear information on how much the baths would charge for his swimmer to have a private function and exhibition at the pool. I was just fascinated that a swimmer should have had a manager, like a film star, around 100 years ago. I also loved some of the stories that came from later than any I found on Trove, including the arrival of bikinis at the City Baths after a sun roof was installed, or the 46 kids hospitalised after a chlorine gas leak. More on those under the History section below. And to cap off a fantastic Vintage Victoria experience there is a top quality coffee shop built into the basement of the baths building. Don’t miss this, but if you go at pool opening time (6am), you’ll have to swim for an hour before the coffee shop opens. 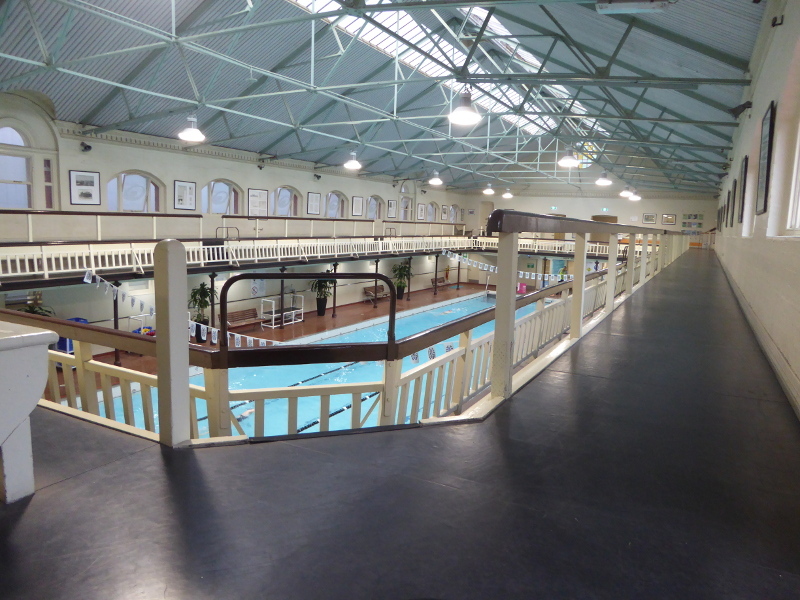 The first swimming pool on this site opened in 1860. 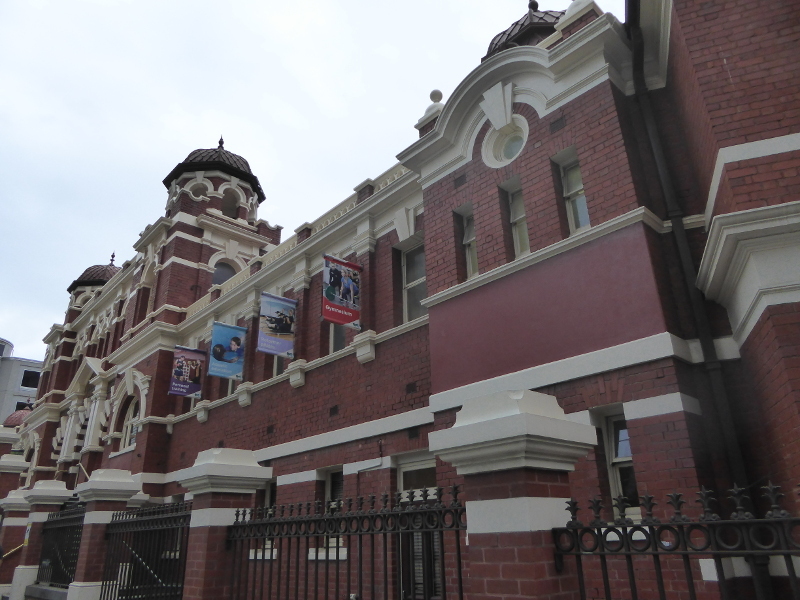 This new City Baths building opened in 1904. That’s how they managed to celebrate 100 years in 2004, and then 150 years in 2010. Any excuse to celebrate a building like this, I say. The Age reported in September 1903 before this new building even opened: the main pool – the men’s bath – was to be 100 feet by 32 feet, and depth from 3’6” to 7’6”. It would have Roman rings (what were they, I wonder?) and ‘diving stages’. And a flooring was made to cover the pool if they wanted to hold concerts in the hall instead – very modern usage, I thought. The women’s pool below would be 50 feet by 20 feet. 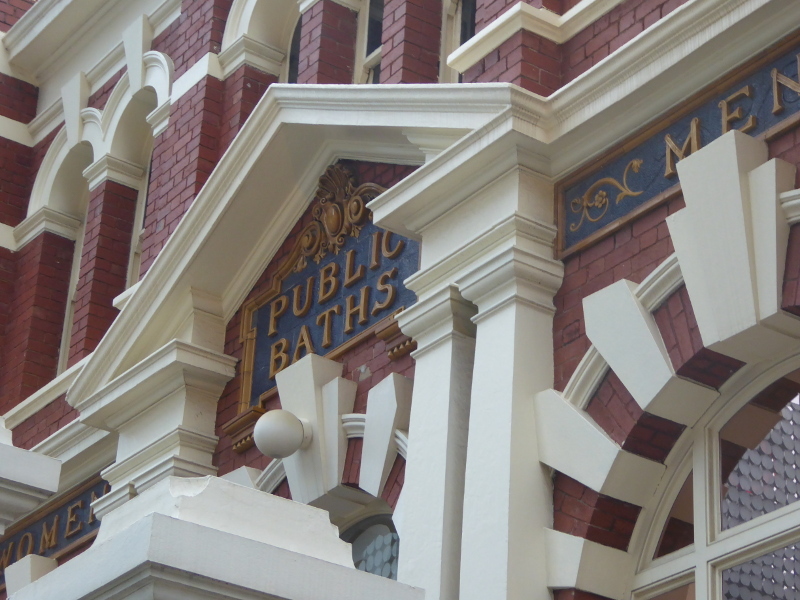 There were also Turkish baths, 34 slipper baths (apparently a term for a deep bath tub, like the one on display today, still), a dozen ‘spray baths’, which they said had become very popular in England…Plus the Mikva baths for Jewish bathers. 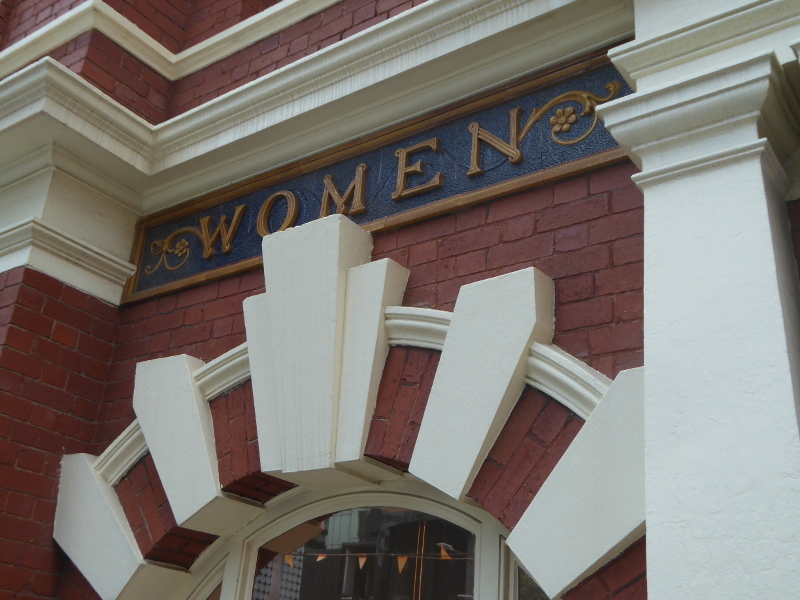 When winter closure was proposed in 1917 (even though these were indoor baths), petitioners pointed out the numbers of people who used the baths as the only place where they could wash and maintain their hygiene. Mind you, poor ventilation resulted from the baths being enclosed, so in 1919 there was a proposal to instal a sliding roof to replace the glass roof and allow more air in. A cheaper solution, though, was to bring in electric fans to circulate the air better. Also in 1919, I was intrigued by the story in The Age of 2 December, headlined ‘Shortage of trunks at City Baths’. 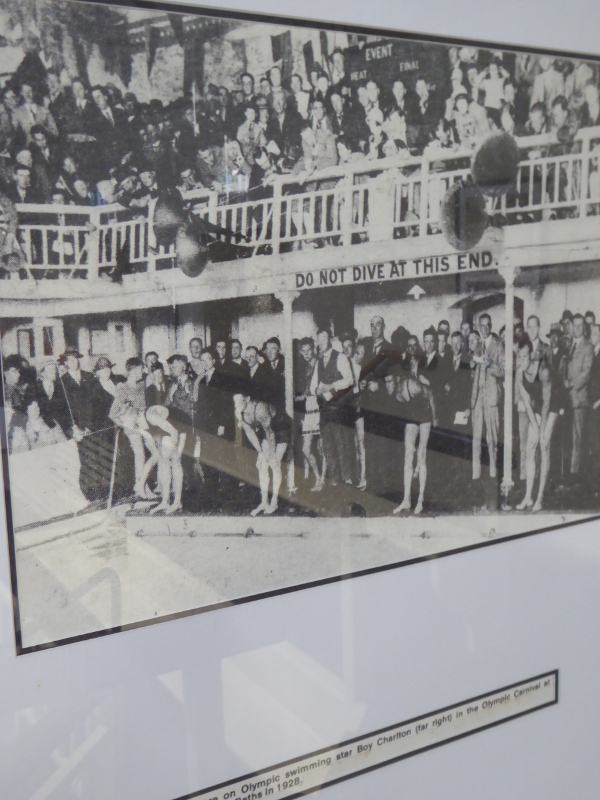 Trunks were in short supply and ‘male bathers at the City Baths had been swimming without observing the regulations’…So did that mean they were swimming with no clothes on??? 1928 was a big year in the history of the City Baths. 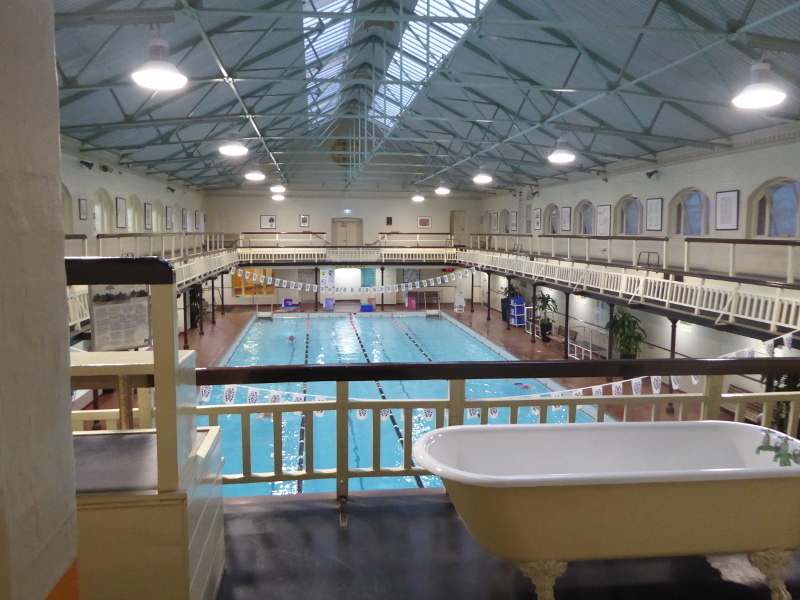 Not only did Andrew Boy Charlton draw a crowd of thousands to see him swim (his fame obviously extended beyond his home in Sydney by then), but it was also the year that the City Baths had the first ever night of mixed bathing. 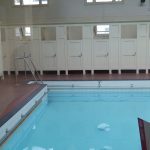 The baths superintendant told the newspapers he was surprised at how popular mixed bathing was…and that many people requested more than the planned one evening a week of everyone being allowed in the pool at the same time. 516 people attended the 150 minute session on the first night in May 1928 – that’s a lot of people in quite a small pool! But it took till 1948 before daily mixed bathing sessions were introduced! And even in 1947, it was reported that when the Council voted for daily mixed bathing sessions, another proposal to have all day mixed bathing was rejected after ‘protests from male season ticket holders’. Oh yes, we can’t have women ruining our daily swim, after all, can we, chaps? The Baths had 1000 visitors a day in 1946, 150 of whom came just for a hot bath (1/3 for bath, soap and towel). 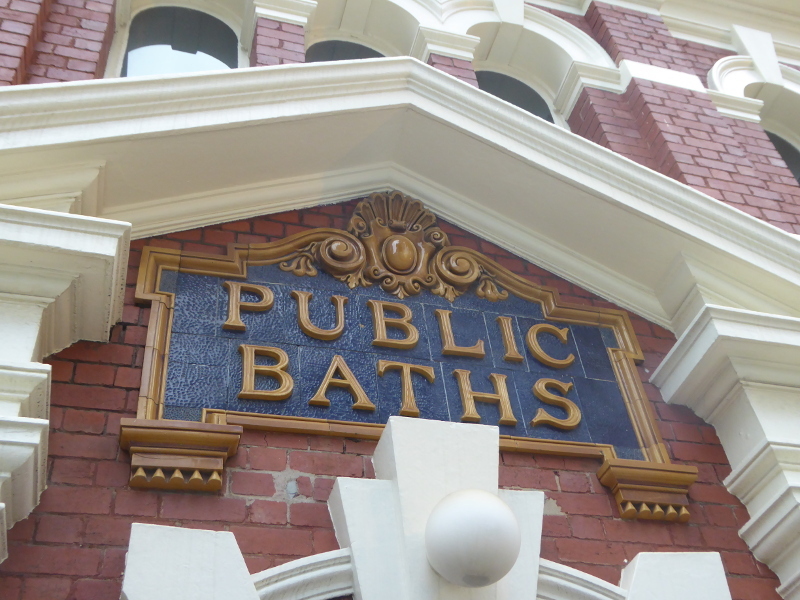 Demand was so high that they got rid of the Turkish Baths and replaced them with 100 bath tubs for ordinary baths. There was a 30 minute time limit for your soak. The City Baths had their share of accidents and tragedies: In 1905 a man died from scalding after taking a hot bath there, another gent fainted when in a hot bath and ended up badly scalded, as recently as 1948; and there was a tragic tale of a woman who died from scalding wounds in 1924 after she slipped into the bath having turned on the wrong tap. A young lad drowned in the pool in 1952, and another in 1954. I also loved the letter of complaint (undated, sadly) about the lack of safe boxes at the Baths, the correspondent being most concerned about swimmers’ watches in an age when the timepiece must have been the most valuable single possession most people had on them. An article in The Herald in 1954 celebrated the Baths’ 50th birthday. It suggested that the original Baths had been built as a copy of the baths in Hamburg in Germany. 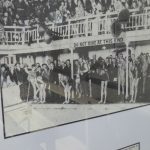 A nice mention was made in that anniversary piece for Jim Sellars, who had swum on the pool’s opening day in 1904 and had missed barely a dozen days in the 50 years since then. I wonder if there is a modern-day Jim Sellars in the Baths these days? 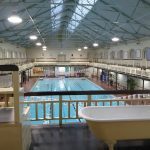 I also loved the list of celebrities who by 1954 had swum in the City Baths, including Duke Kahanamoku, the Hawaiian who introduced surfing to Australia, Andrew ‘Boy’ Charlton and Arne Borg, a Swedish swimming champion of the 1920s. That was in 1955. 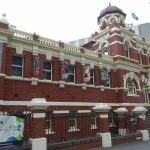 The following year saw great success for Australian swimmers at the Melbourne Olympics, which resulted in a massive increase in the popularity of swimming, with a consequent rise in numbers using the City Baths to swim. 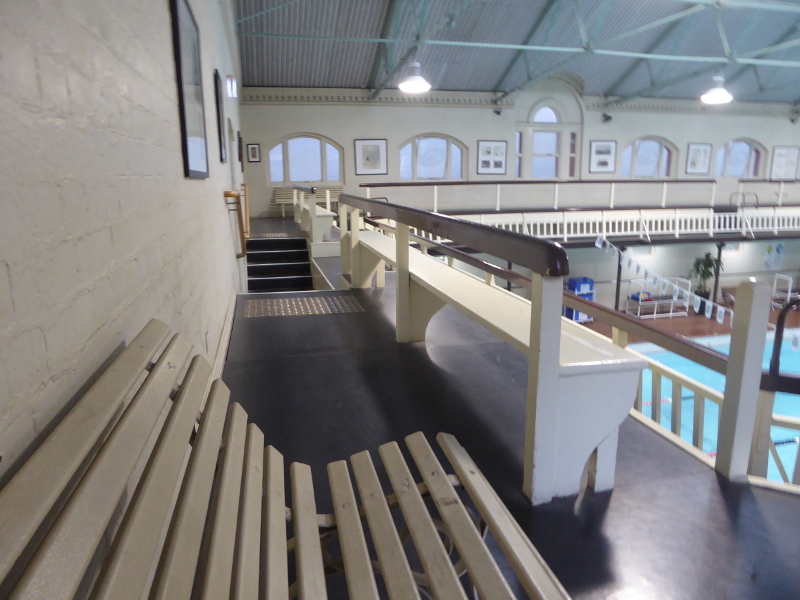 More recently, there was a 1980s campaign to retain the Baths, and as a result the building was thoroughly renovated. 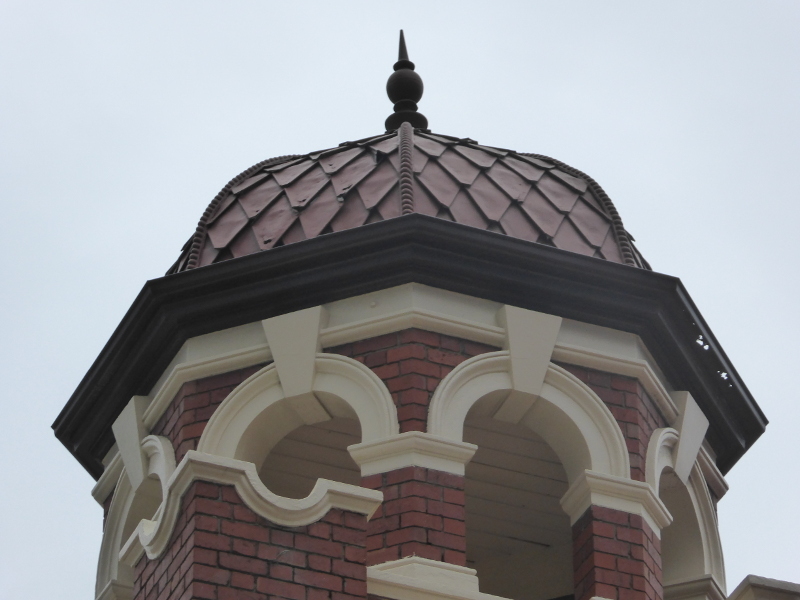 I’m so glad they kept many of the original features in that renovation, but did anything significant disappear at that point? Anyone remember? Three sets of stories intrigued me, all involving women. Delving further into Miss Stennett’s life, I discovered that she was the first woman to receive the Royal Shipwreck Relief Society’s medal for life-saving. But she found life-saving a ‘thankless task’. Interviewed by journalists after making her 34th rescue in 1912, she said most people “just glare at you and walk away with a scowl on their face’ after being rescued. Her sister Connie was dropped into the water as a baby and by age 3 was swimming 125 yards to the delight of onlookers. I’d love to know what happened to either of these two pioneer sisters of swimming. Miss Beatrice Malcolm was another key woman connected to the City Baths. She was interviewed in The Age on 9 February 1946 after 30 years working at the Baths. ‘Children are fearless in the water compared to their parents,’ she said. 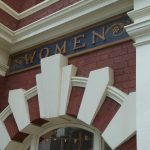 The article says she was the first Victorian woman to gain the Life Saving Society Diploma, which I am guessing took her one step further towards official recognition alongside men, compared to the Stennett sisters earlier in the century – or it was a false claim given the Stennets’ previous awards. Miss Malcolm’s speciality was getting middle-aged women to conquer their fears and learn to dive. I found a lovely piece from 1930, in Miss Malcolm’s prime, when a young woman called Kathleen Walker took up the offer of free swimming lessons and went in six months from being a non-swimmer to being a life saver. “Miss Beatrice Malcolm at the City Baths took me in hand,” she said.. But I also liked the story of a girl born in 1951, so quite possibly still swimming to this day. Jayne Raven made the news at the age of five as the daughter of the City Baths superintendent, because of her swimming talents. The family lived above the pools, so Jayne was in the water already at age 6 months. By age of three she could swim and by age 4 she was competing in the under-12s, giving many a 10 second start and winning. Does anyone know of Jayne Raven today? 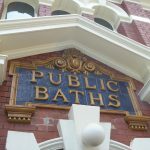 This Sydney-based blogger came to City Baths in 2008 and tells a great story of her Mum coming to the Baths to wash after work and before a date in the evening in Melbourne. That’s what the Baths were used for in those days. Thanks to Jonathan Keren-Black for his blog post explaining how a Mikvah works. This 1914 photo of the City Baths shows just how palatial the building was a hundred years ago. 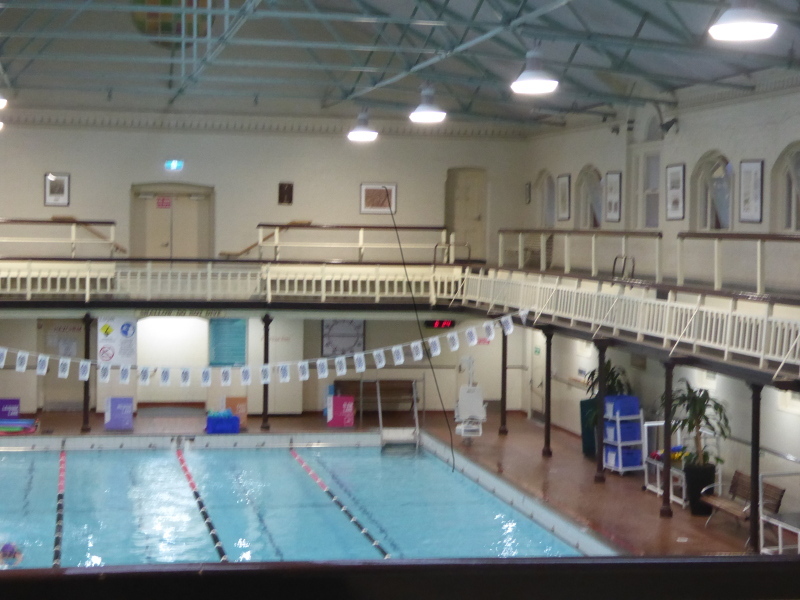 Sydney-based swimming blogger Sally came to the City Baths back in 2006. 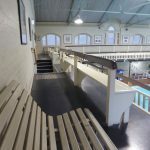 What are your memories and stories about the City Baths? 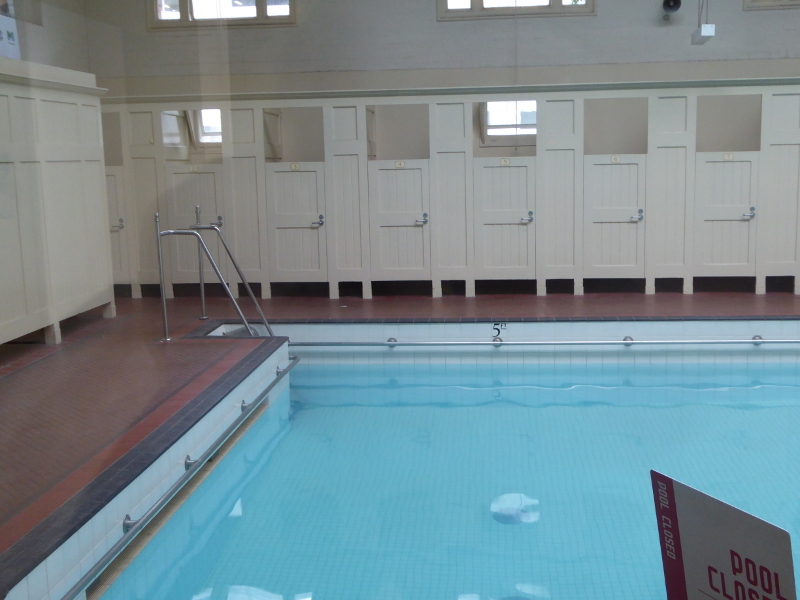 Do you swim in the City Baths? 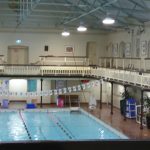 Has anyone been swimming here for years and can they share some memories on changes they have seen to the City Baths? Can anyone remember the 1980s campaign to keep the Baths open? 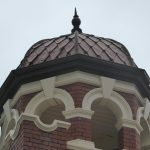 What was lost from any original features in the last renovations made? Does anyone know what happened to all the ‘slipper baths’ which used to be here in this building? And can anyone shed any light on what were ‘Roman rings’? Can anyone fill us in on what happened to Jayne Raven after 1955 when she seemed to be such a precocious talent at 4 years old? 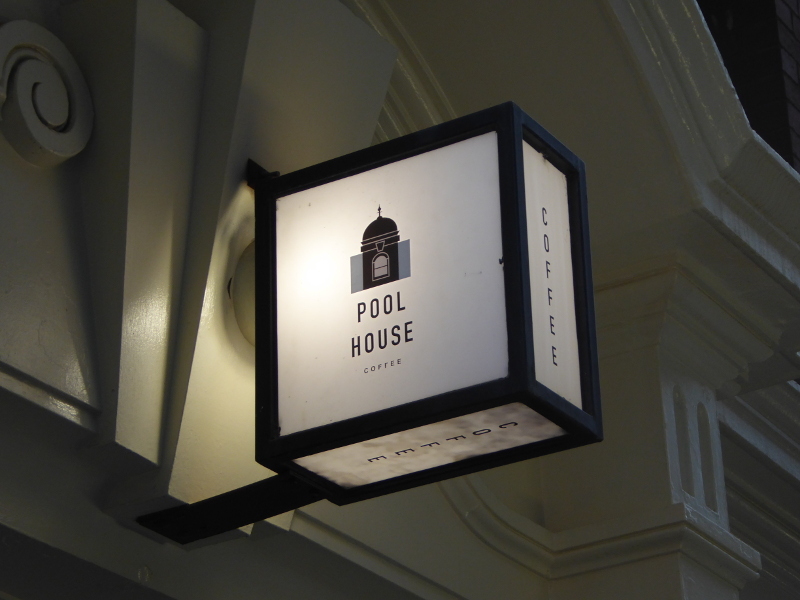 If you arrive at the time the City Baths open for a swim, you’ll need to do laps for an hour before you get your post-swim coffee at the Pool House Coffee, on the ground floor of the City Baths building, round the corner from the main entrance. Well worth the wait, they serve up top quality coffee and tea, and seemed from my experience to be the venue for various Melbourne offices to hold pre-office hours meetings over a cuppa. Open Monday to Friday only, from 7am to 4.30pm.